Francesca Simon is the author of the phenomenally successful Horrid Henry books. She has also written many other titles including Don’t Cook Cinderella, The Topsy Turvies and Helping Hercules. Tune in to Francesca’s Authors Live event to hear all about her life as a writer and the wonderful anti-hero, Henry! The event is suitable for P1-P7 (age 5-12) and fans of the Horrid Henry series. The event will be streamed live to audiences across the UK at 11am on World Book Day (Thursday, 1st March). It will then become available to watch again for free by Thursday, 8th March, for everyone worldwide! You can join tens of thousands of pupils across the UK watching the event live by following this link: http://www.scottishbooktrust.com/authors-live-with-francesca-simon. If you can’t make the live broadcast the entire event can be downloaded or streamed for free from next Thursday following the same link. We are really looking forward to this event: Francesca is a brilliant speaker and promises to bring the notoriously horrid Henry to life for her audience. Beth Bottery from the Scottish Book Trust wrote this wonderful post about the promotions and events that they offer, even to children and teens in New Zealand. Be sure to check out their brilliant site. A series of fantastic of children’s and teen’s authors events which are broadcast live online to schools in the UK via the BBC. These events then become available to watch again for free a week later for people around the rest of the world. They feature a stellar line-up including Michael Rosen, Charlie Higson, David Almond, Jacqueline Wilson, Liz Lochhead and many more and you can download them from our website for free. Details of the next event are below. All events come with free classroom resources. You can find further information about these and future online events on our website http://www.scottishbooktrust.com/childrens-authors-live. Keep an eye out for information about our next programme of live events by following the same link. We have brilliant Creative Writing videos and tasks from top teen authors Keith Gray and Cathy Forde. Keith looks closely at several aspects of the writing process and Cathy has a series of creative writing tasks for budding writers to use in developing their skills. http://www.scottishbooktrust.com/teens-and-young-people/videos . Every week we have new blog entries from authors and illustrators, booksellers, publishers and Scottish Book Trust staff. It’s a great place to find out about what’s going on at Scottish Book Trust and in the world of books more generally. We have several regular blogs aimed at young people, learning professionals and parents. You can find out more by following this link: http://www.scottishbooktrust.com/blog. Thanks to Beth from the Scottish Book Trust for giving me this heads up. Scotland’s National Poet Liz Lochhead is to give a live broadcast to children across Scotland during a special Robert Burns celebration on Thursday 26 January at 11am. The Scottish Friendly Meet Our Authors Special Event, run by Scottish Book Trust, will be streamed live from BBC Scotland in Glasgow and available after to watch again for free from the Scottish Book Trust website. The broadcast will be most suited to children from P6 – S4 (9-16 year olds) and any fan of Scottish poetry. 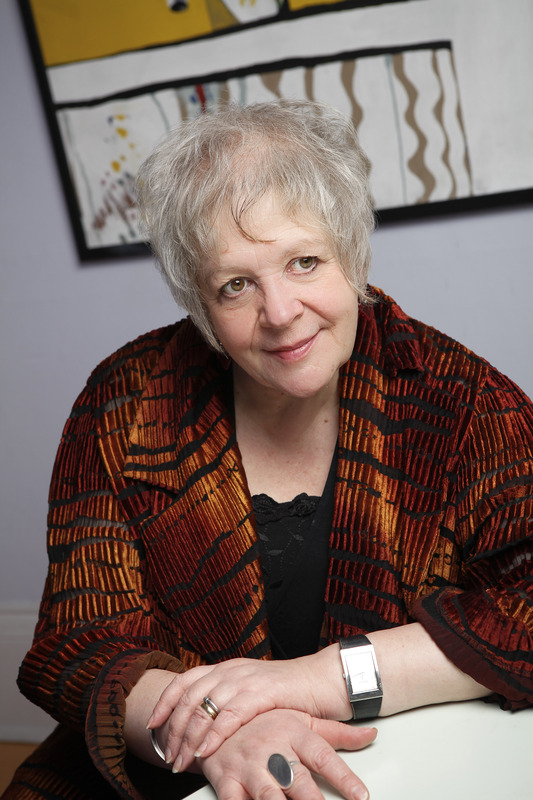 You can join over 10,000 pupils across the UK watching the event live by following this link:http://www.scottishbooktrust.com/authors-live-with-liz-lochhead. Alternatively, the event can be downloaded or streamed from next Thursday following the same link. The event will be free to watch again after 2nd February on our website and clips of the event will be available on our Meet Our Authors YouTube channel around the same time. You can go to www.bbc.co.uk/authorslive to submit a question. Please bear in mind that many thousands of children will be watching and will have submitted questions. Please don’t be too disappointed if your question doesn’t get asked. Liz will be celebrating the poetry of Burn’s as well as reading her own work. We’re sure this event is going to be really inspirational as no-one can make Burns come to life like Liz can. Scottish Book Trust do loads of events like this every year: their previous events have featured authors such as Michael Rosen, Michael Morpurgo, Julia Donaldson, Eoin Colfer, Jacqueline Wilson, David Almond and many more. You can stream or download any of these events for free here: http://www.scottishbooktrust.com/childrens-authors-live/2010-11.